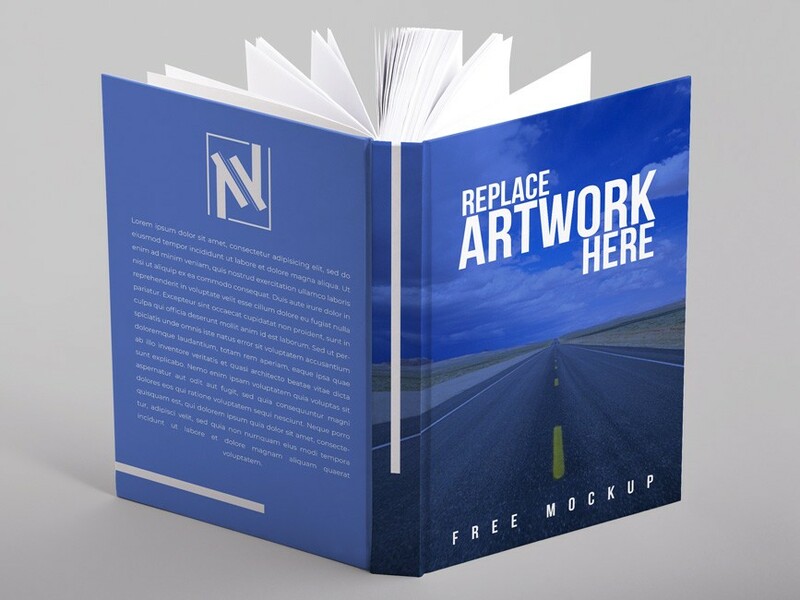 Download Free Standing Open Hardcover Book Mockup. Showcase your book cover design to your client. Add your custom hardcover book artwork using smart layer in just few clicks using Adobe Photoshop. Change book colors, background, and the branding very easily. Good work done by Nabil Al-Nemer.